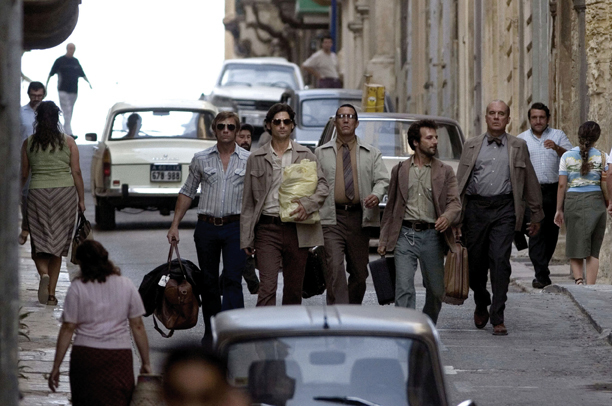 Spielberg's "Munich" used Malta to portray seven Mediterranean and Middle Eastern countries. The island's different facets of its locations and its political stability are what attracted Dreamworks and Universal to Malta. "We went all over the place (in the world) to try and find the best location" says producer Lalonde "but it was really here that we found what we were searching for... a mix of the old and the new, something with some kind of a deep oriental feeling to it, and we got all of that here." said Richard Lalonde, the producer of "A Different Loyalty" which starred Sharon Stone and Rupert Everett. "We came to Malta because we were trying to replicate Lebanon" continues Lalonde. "Its history and cultural mix makes it such an incredible place... It's a great country". The advantage to filming in Malta is that no location is usually further than a 20 minute drive. Location permits are required for filming on all government property, which include approvals from the local councils - especially for exterior filming - and permits from any concerned government departments. Council donations may be applicable in certain locations. "A Previous Engagement", starring Juliet Stevenson, was Malta's first co-production with Canada. The Culver City Observer wrote: "Through the lighting and lensing, Malta is even more beautiful on film than in coffee table picture books and picture postcards. It is this striking elegance and beauty that gives the film an Edensque feel"
Juliet Stevenson in "A Previous Engagement"